Each region of India has its unique street food and Delhi is no exception. 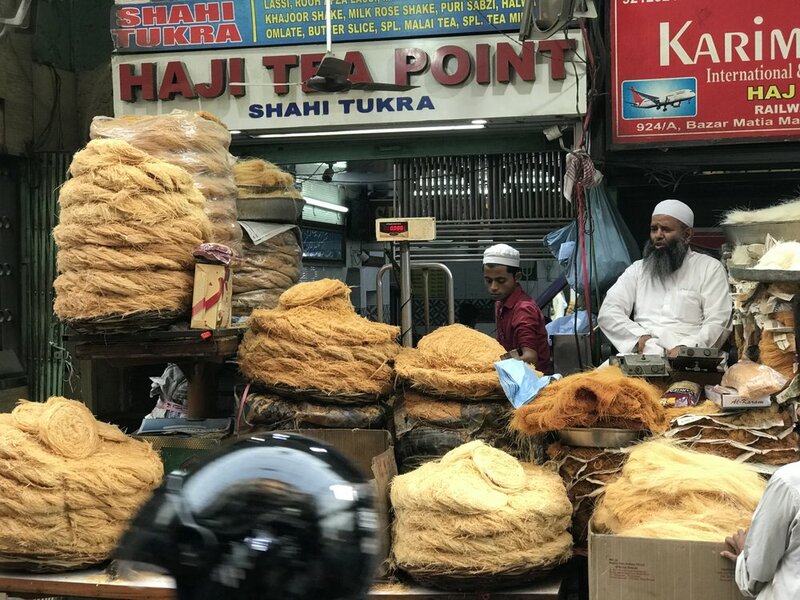 Visit our favorite vendors in Old Delhi and try the local specialties chole bature, dahi bhalla and aloo chat, as well as parathas, lassi and the very sweet but delicious jalebis and the local equivalent of rice pudding and bread and butter pudding. All of these dishes are vegetarian but meat-eaters will have the option to try Indian fried chicken and kebabs towards the end of the tour. Vegetarians, worry not: you can take the opportunity to soak up the atmosphere of the buzzing Matia Mahal neighborhood. In addition to sampling the best of Delhi’s street food, you will also learn about Delhi’s historic “Walled City.” We will absorb the hustle and bustle of the narrow streets as we visit different locations by rickshaw. We will explore the largest spice market in Asia and stop to admire the imposing Jama Masjid. What to expect from this tour? Sample the real Old Delhi through its street food on this small-group 4 hour walking tour. Dive into Chawri Bazar, one of the city’s oldest market streets, and enjoy different food stops to try some deliciously authentic street dishes. Taste bites like 'kachori' (filled, deep-fried pastries) and 'kheer' (rice pudding), as your guide reveals the recipes and secrets behind each dish. Expect 11 to 13 snack tastings, and bottled water, sanitizer is included. 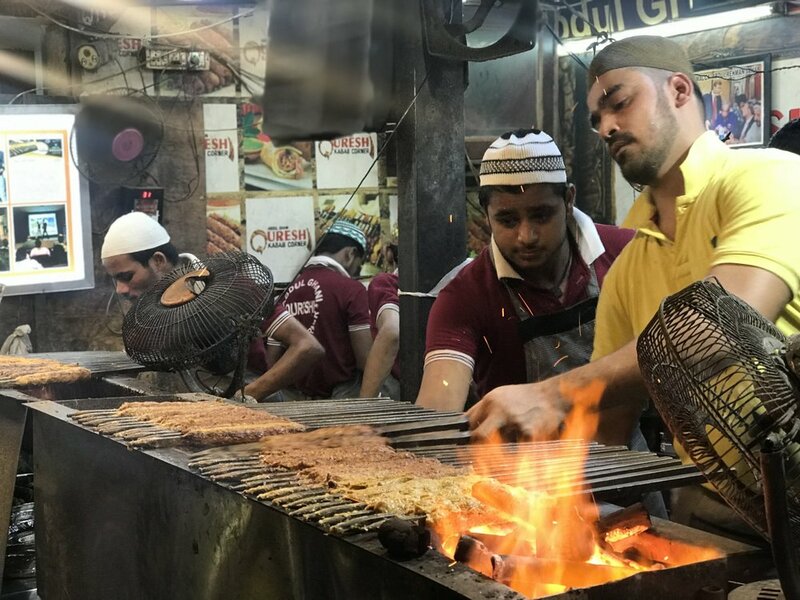 Old Delhi food walk is a perfect choice for tourists who wish to explore the street food culture, sights, people and market in shortest possible time. In addition to food, guests also visit some of less explored corners which are not very well known but are worth seeing the vibrant market, meeting and interacting with locals and walking through colorful streets which haven't changed much in the past two centuries. SPINMONKEY is an awesome guided cultural experience based in Delhi.